So, we all know that thing we do when we accidentally catch a stranger's eye? Instantly avert our eyes and bow our heads in shame as though eye contact with another human being is forbidden and punishable by death. What? That's a bit extreme? Fair enough, but you see where I'm going here. It's so easy to go about our day to day business without needing to be nice to the people we come into contact with, it's not quite as bad as 'Stranger Danger!!' but we'll wonder why someone smiled at us - are they laughing at me? What's wrong with my hair? Do I have something stuck in my teeth? You know the drill. I read it and thought, that's awesome. OK, so I know it's completely generic and from a stranger, but I think that's the magic of #nyclovenotes. 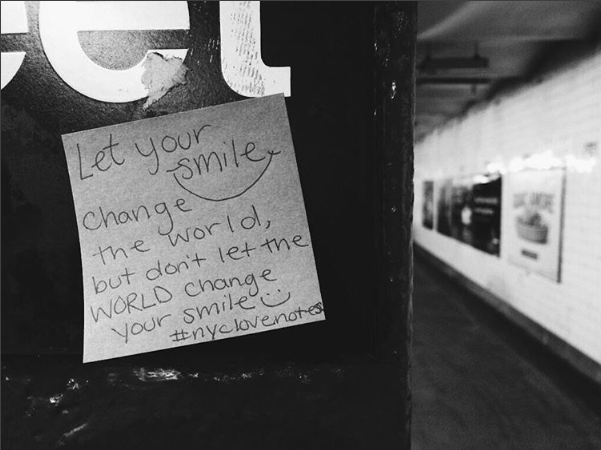 These little notes, planted all around the city, remind us to be our own champion from time to time. It''s super cool that there is a wonderful human being behind this going a teeny step out of their way to make others feel good about themselves and it is surprising how effective it is (this shouldn't be surprising right?). I posted my encounter on Instagram and got on board with the whole hashtag thing and then I decided to see who else had come across these lovely little notes. 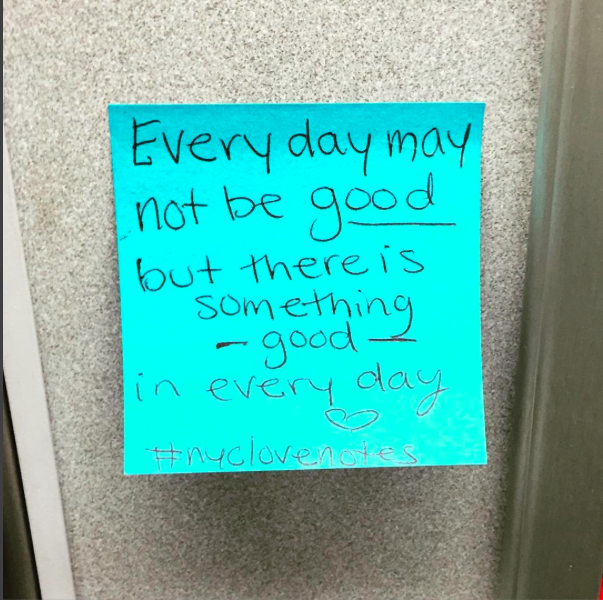 @nyclovenotes' Instagram account only started four weeks ago and is full of notes that other people have stumbled across and tagged. Reading the comments reminded me that happiness and kindness are contagious and really aren't that hard to put into action. 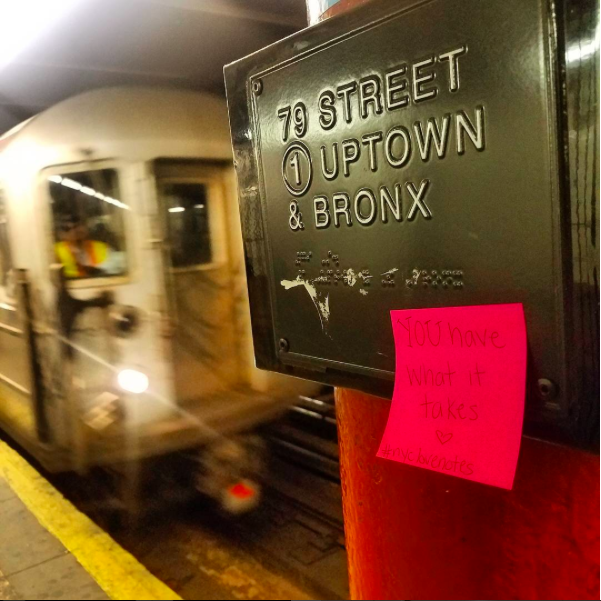 #nyclovenotes don't require a huge amount of effort to create or stick up, but it's pretty cool that someone, somewhere out in The Big Apple, is putting that effort in and creating a ripple effect of warm fuzzies.